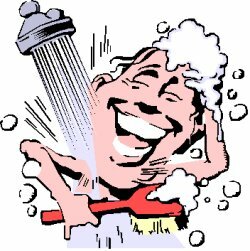 If you are still showering with a regular shower head, you’re missing out on a relaxing shower with an oscillating or massage shower head. Most homes don’t come with this type of shower head so, if you’re interested in one, you’ll have to put it in yourself. It’s actually fairly easy to put in these shower heads if you have the right tools. Besides the shower kit itself, you’ll need a pipe wrench and a roll of Teflon tape. There are several different brands of shower heads to choose from. They are all standardized so you need only compare how much you want to pay and what kinds of features you want. There are plain shower heads with different kinds of sprays available at just the twist of a ring. They look somewhat like regular shower heads but tend to have a broader outlet area for the oscillating spray to come out. Other massage shower heads actually come with an attachment to the shower system that then extends out to a 3-4 food hose with a handheld shower head at the end of the hose. The advantage of these systems is that you can direct the stream anywhere you want. You’ll end up paying between $15 and $100, depending on the brand and quality of the shower head. To remove the old shower head, use your pipe wrench and unscrew the head off the pipe leading from the wall. It should come off pretty easily. Clean off the threads of any debris or old Teflon. Wrap the threads of the pipe with Teflon tape so that the whole threaded area is snuggly wrapped in the white tape. This will make the new shower head go on easier and will serve to protect the area from water leaks. Start screwing the new shower head on with your fingers until you’re sure the threads are connecting the correct way and until the shower head is on somewhat tightly. Finally, use your pipe wrench to tighten the connection completely. Test the shower head to make sure you don’t have leaks by turning on the faucet and pulling up on the shower knob. After that, all that is left is to take the kinks out with a hot oscillating shower directed toward your aching muscles. This kind of showerhead really rinses out the hair nicely with a higher pressure than you’ve noticed ever before. This article was contributed by localcontractorbids, however it appears that site is no longer online.